The story of Wickaninnish Inn begins in 1955. It is closely tied to the town of Tofino and the Pacific Rim National Park Reserve. And this is exactly why you should find time to visit and stay at the inn. Your holidaymaking journal will benefit from the hundreds of stories and adventures you will hear and experience here. 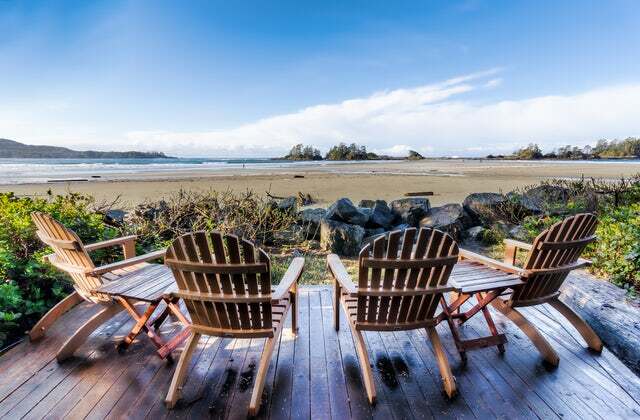 What more, the inn gives you a direct access to the beautiful Chesterman Beach. Each of the rooms will sport up-scale amenities and services such as king-size beds, living area, wet bar, a balcony, full amenity bathroom, with heated tile floor, double soaker bathtub and a fire place among many others. Your taste buds will get a culinary tour at the Pointe Restaurant, On the Rocks Bar and Lounge, and the Driftwood Cafe. All the renowned Canadian delicacies will be served at these great restaurants. Dishes such as homemade sausage, bacon and roasts or organic beef and poultry will make you wonder whether you have sampled meats before. If you are planning a wedding, make sure it is your dream wedding. A tofino wedding at the inn will make your wedding the benchmark amongst your friends. The staff at the inn will take care of everything from the ceremony venue arrangement and decoration to the reception catering. Among the facilities open to the guests use include; the 720 square foot Salal Room, 500 square foot Swordfern Boardroom, a gas fireplace, the awe-inspiring Shell Beach, the three restaurants, concierge services among others. Popular recreational activities at the resort include; bear watching, birding, cultural tours, fishing, hot spring cove, kayaking, standup paddle boarding, whale watching, stretching and walking at the beach, surfing, nature and hiking trails and many more. This sounds impressive, doesn't? Well, make a reservation today and get to experience the above and many more activities. You can also click here to see comments about the inn on Trip Advisor. Here's 0 comments for "Experience a Life of Luxury at Wickaninnish Inn"